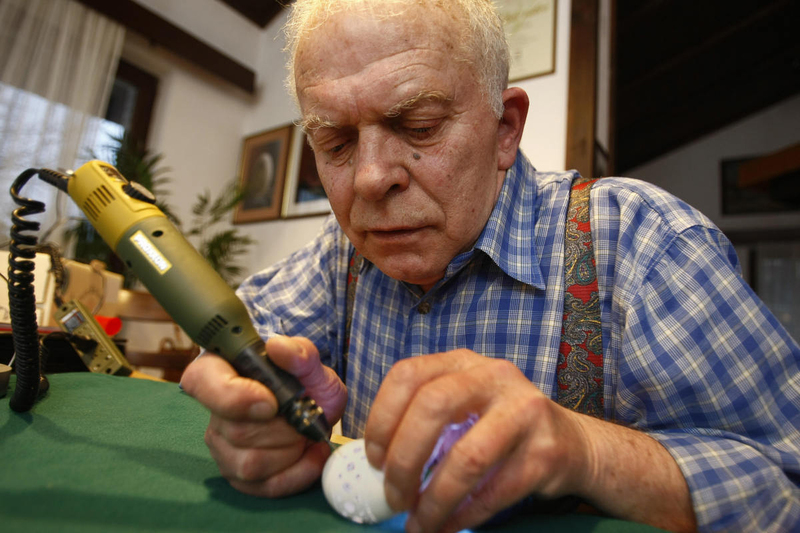 Slovenian Franc Grom crafts beautiful, lacelike sculptures into egg shells, inspired by traditional Slovenian design. 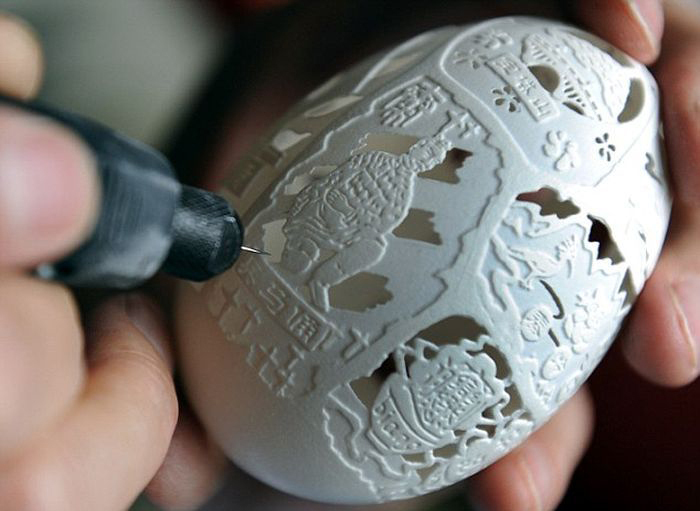 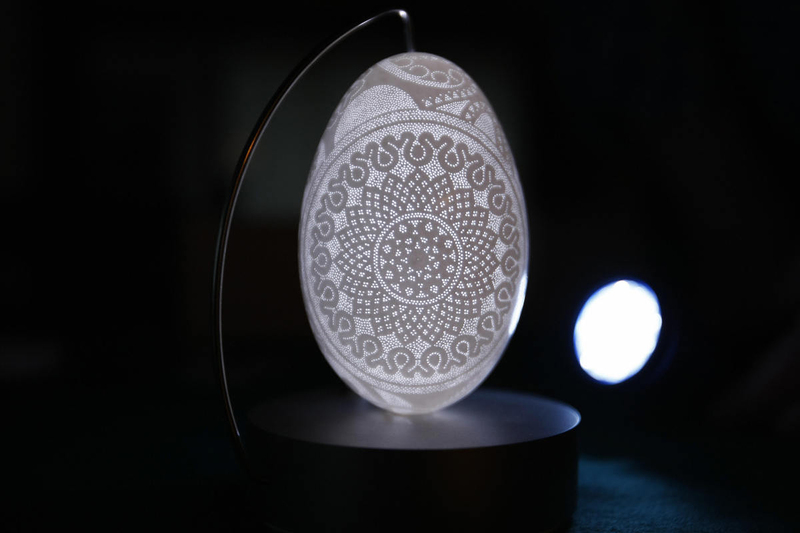 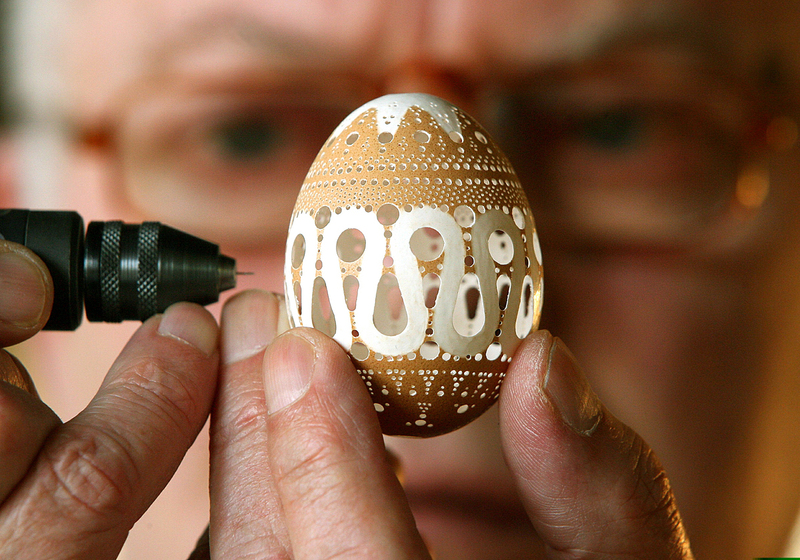 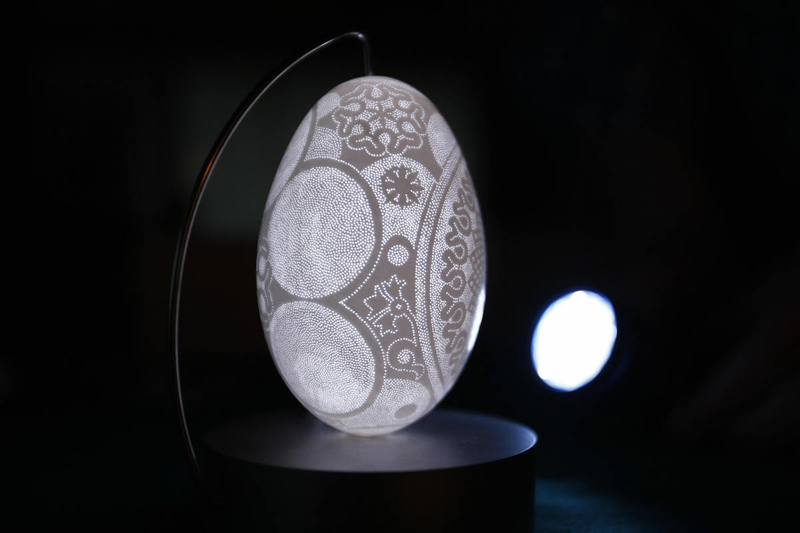 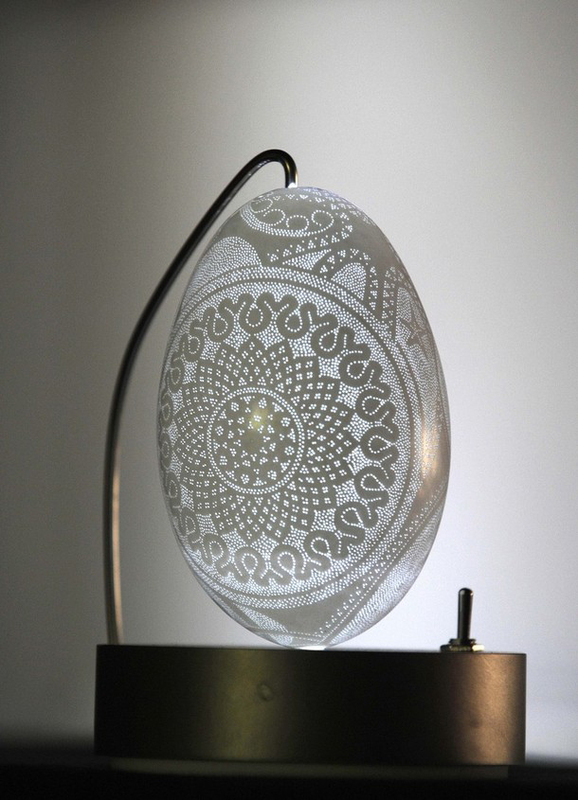 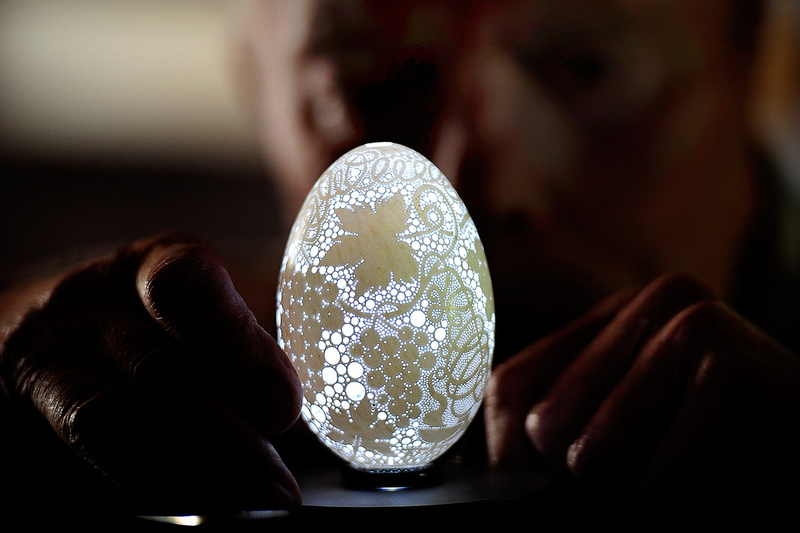 Each egg contains 2,500 to 17,000 tiny holes made with a small electric boring tool. 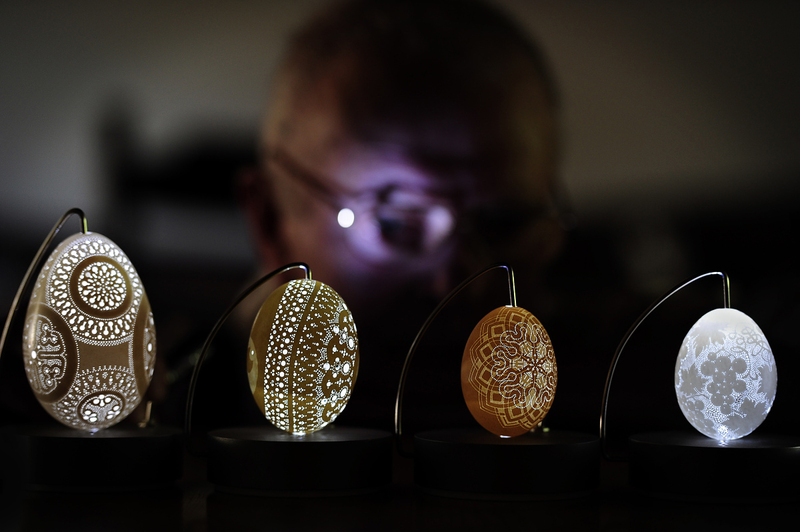 Grom calls his ivory shelled masterpieces Easter eggs. 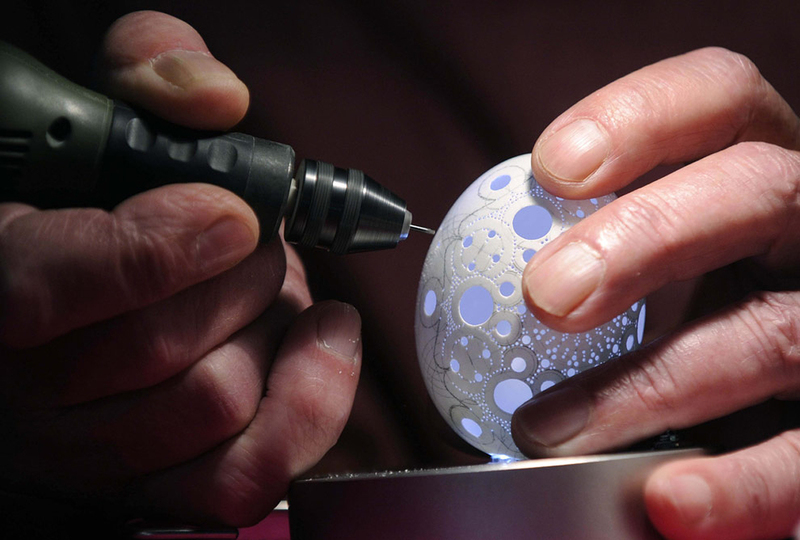 Grom’s attention to detail accentuates the eggshell’s delicate nature, creating fragile vessels that light up from within. 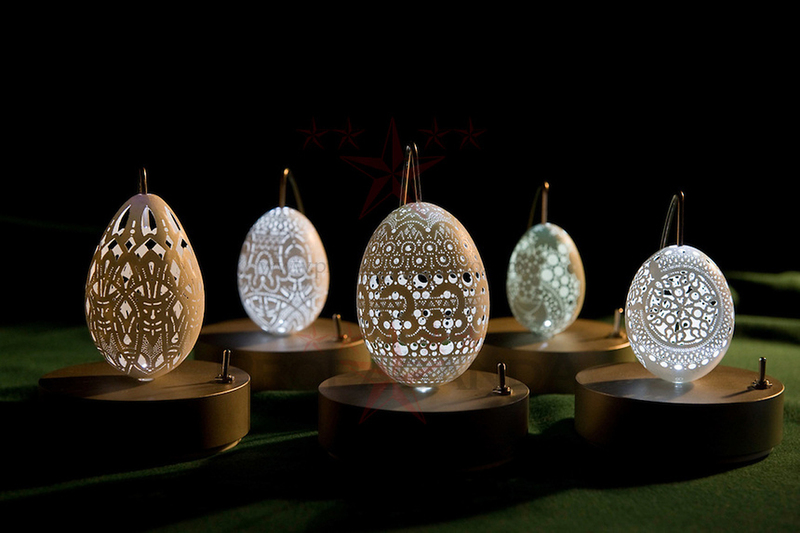 Check out the breathtaking ornaments below!